“THIS IS A BAD IDEA,” Tom said. He stared sidelong at the device at the end of the workbench, as though, if he looked at it directly, it might poke out his eyes. “You don’t even know what it does yet,” I said. The contraption did look rather . . . well, odd. It was five inches tall, with a bulging top balanced over a narrow upright cylinder, wrapped tightly in folded paper. The upper part of the device balanced on three wooden prongs sticking out of the bottom. A wick of cannon fuse trailed from its end. I couldn’t help feeling slightly wounded. Odd or not, this device was the most important thing I’d ever made. All of the other equipment in the apothecary workshop—the ceramic jars, the molded glassware, the spoons and cups and pots and cauldrons—lay crammed on the side benches, cold and quiet. Only the faint scent of ingredients and concoctions lingered in the room. Even the giant onion-shaped oven in the corner was still. Because this was the creation that would save my shop. “Your brain needs work,” Tom muttered. “But—look.” I put my Smoke-Your-Home back down—gently—and showed him my design, sketched on an unrolled sheet of vellum. “It’s like a firework,” I said, which in retrospect was probably not the best way to start. I went to the side of the workshop, where I’d stored the two sacks of flour I had left. I grabbed a handful of it and picked up the taper burning on the workbench. When I puffed the flour into it, it burst with a bright flash of flame. “Why couldn’t they just make a fire?” Tom said. “You can’t just light random fires around your house,” I said. From high up on the ingredient shelves, a plump salt-and-pepper-speckled pigeon fluttered down to where I stood. She cooed. Bridget pecked at the cannon fuse. She recoiled with a grunt and took off, wings flapping her up the stairs. “You’re going to regret this when I’m knee-deep in gold,” I said. I lit the fuse. I watched it crackle and spark, then joined Tom behind the bench. Not because I was worried, of course. It just seemed . . . prudent. The fuse reached the bottom. For a moment, there was nothing. Then the gunpowder ignited. There was a hissing, and sparks shot from the bottom. The cylinder popped into the air. Then the second charge began to burn. A thin, smoking flame rushed out of the bottom. Slowly, it tipped sideways. Then it rocketed through the door into the shop. “Was that supposed to happen?” Tom said. “Well . . . ,” I said, but the correct answer was: no. From the doorway to the shop came a flash. Then a BOOM. The boom was expected. The voice that followed it was not. It’s 1665 and the plague has already killed 30,000 people in London, where Christopher Rowe lives on his own. Luckily, he has a loyal friend in Tom, a baker’s son. But when a mysterious prophet predicts that Tom will die, Christopher investigates whether the prophet is genuine and then whether a new apothecary, who claims to have a cure, can be believed. Christopher, Tom, and their new ally, Sally, uncover a conspiracy that could take down the whole city unless the three of them act fast—at the risk of their lives. 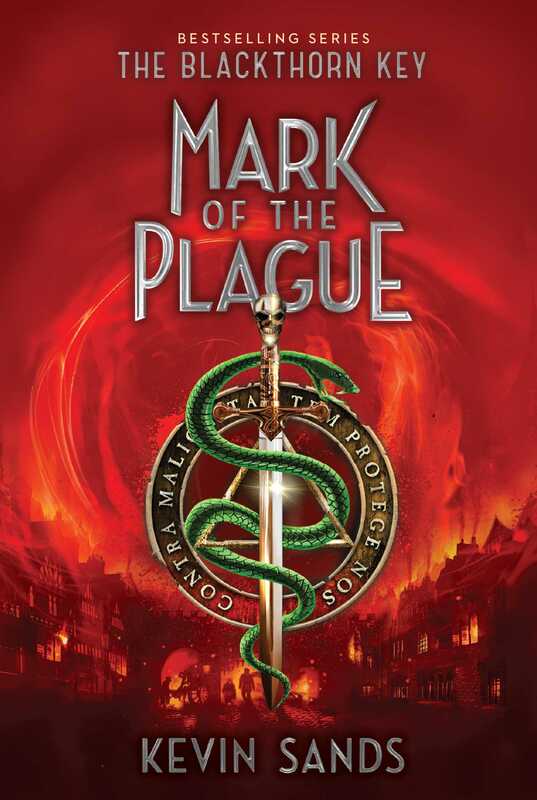 A great blend of history, intrigue, and daring exploits, Mark of the Plague is the follow-up to the critically esteemed The Blackthorn Key, which was called a “spectacular debut” by Kirkus Reviews in a starred review. 1. “The sickness makes us all the same,” Isaac says to Christopher. What does he mean? How is that idea shown in the book? 2. Christopher’s apothecary skills include chemical and medical knowledge. Give examples of how he uses each of those skills in the novel. Why can’t he run his own apothecary shop? 3. When Melchior predicts that someone Christopher loves will die, Christopher worries that it will be Tom. Describe their friendship. Compare and contrast their characters, and discuss why you think they are such good friends. 4. Tom’s parents leave him when he gets sick, and they flee to a boat on the river. How does Tom feel about their decision? Do you think they made the right choice? 5. Describe Sally, her personality, her background, and her hopes. What makes her a good friend? Why is she grateful to Christopher? Describe what you think her future will be. 6. Although the story isn’t set in Cripplegate Orphanage, the reader ends up with a sense of life there. What is the orphanage like? Explain why Christopher’s experience in the orphanage motivates him to help Sally. How else is the orphanage a part of the plot? 7. Examine a scene where Christopher, Tom, and Sally work together as a team. How successful are they? What strengths do each of them have? How do those strengths complement each other? 8. Give a synopsis of the scheme to swindle London officials out of a lot of gold. Christopher figures out most of the scheme but what major facet of it does he miss? What are the clues that he overlooks? 9. Master Benedict has died, but his notes are instrumental in Christopher solving the mystery around Galen and Melchior. Point to specific passages from Master Benedict’s notes that help Christopher understand what’s going on. 10. What is Dr. Parrett’s relationship with Christopher and Tom like? What are Dr. Parrett’s problems? How is he helping plague victims? Explain how he saves the boys and Sally, and why he’s willing to sacrifice so much. 11. Describe Melchior and his deeds in London. Who does he pose as? Why are his acting skills important? How does he manage to predict deaths? Describe how Christopher and his friends determine that Melchior is a fraud. 12. Near the end of the novel, how does Melchior justify his greed to Christopher? Analyze his negative view of most people and how he justifies his attitude. How do his beliefs about people differ from Christopher’s? 13. Galen also deceives those around him. Who is he and what’s his history? Why does he pose as an apothecary who can cure the plague? Compare and contrast the characters of Galen and Melchior. Why are they using those names? 14. What role does Henry play in the plot? Why does Christopher think he can trust Henry? Describe Henry’s background and his motivations for his actions. 15. What is a Bill of Mortality? Explain what it shows and why it was used for communication in London at that time. What role do such bills play in the story? 16. Identify some acts of courage in the narrative, who carries them out, and why you consider them courageous. What types of courage are shown besides physical courage? 17. Birds appear in different capacities throughout the novel. Describe some examples of birds, feathers, or other bird-related elements in the story. How are birds used as symbols? 18. Although Christopher turns down the reward of gold, what three things does he request? What do the requests demonstrate about his character? Do you think Christopher made good choices? 19. Reread the notes that Master Benedict left for Christopher on the last five pages of the story. How does Master Benedict feel about Christopher? How does he describe his apprentice? Do you agree with Master Benedict? 20. Explain why Master Benedict says, “You were born Christopher Rowe. But you became Christopher Blackthorn.” What do you think Christopher’s reaction was to those words? Christopher discovers how the strips of paper Sally found work as a code, using a broom. Gather several brooms to have in the classroom. Then have students find a name or phrase from the novel to convey as a message. Using the explanation in Chapter 41, students should write the quote on a strip of paper in a way that it can be deciphered using the broom handle. Have students see if they can interpret each other’s messages. As the author points out in the note at the end, the plague still exists today. Have students do research using several print or digital sources on the history of the plague, its medical characteristics, how it spreads, and its current state. They should come up with ten facts to share in a small group, explaining where they found the information and why it interests them. Master Benedict uses a wide vocabulary, including words likely to be new to students. Have students write down unfamiliar words from Master Benedict’s notes and journal entries. Each student should create a vocabulary square for several words. This is a table with four squares and a circle at the center for the word. The squares can hold a definition, etymology, synonym, quote from the book, and so on. Post the squares for everyone to see. Throughout the book, Christopher, Galen, and others mention ingredients that they use in medicine, such as poppy, valerian, rue, garlic, charcoal, and more. As a class, list as many as possible. Then have pairs of students research one such ingredient, using print and digital sources. They should create a multimedia presentation to share with the class that includes drawings or photographs of the ingredient and an explanation of its uses. Many scenes in this exciting novel contain dialogue among several characters, which makes it perfect for reader’s theater. Have students in small groups pick a scene and rewrite it with a narrator to describe the setting and supply transitions, and dialogue for the other actors. Costumes and props are optional. The students should practice their parts and present the scene to the class, reading from the script. 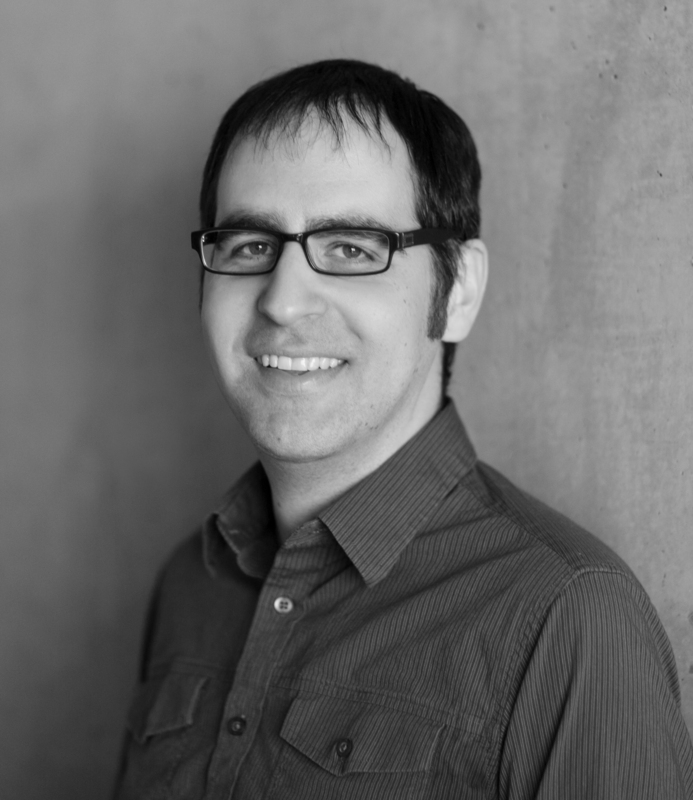 Since escaping from university with a pair of degrees in theoretical physics, Kevin Sands has worked as a researcher, a business consultant, and a teacher. He lives in Toronto, Canada. He is the author of the award-winning and bestselling Blackthorn Key series.